100% GOTS Certified Organic Cotton Towels! 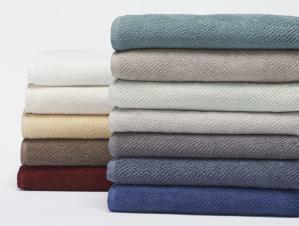 For Earthsake's Exclusive US-grown Organic CottonTowels -Click here! 100% organic cotton, twill weave, 550gsm (grams/square meter). Click Here for more Organic Cotton Towels in new colors & sizes! For whites and light colors: Machine wash warm with a non-phosphate soap. For dark colors: Machine wash cold with a non-phosphate soap. For the softest towels, tumble dry low and remove promptly. Avoid fabric softeners, as they reduce absorbency. Please refer to the product label for more specific instructions. There is an ever growing need for organic products which offer protection for our environment, and safeguard human health. Unlike non-organic, which uses 2lbs of chemicals to produce 1lb of cotton, organic cotton uses only natural fertilizers. Fields are hand weeded and no chemicals are used to destroy predator insects.